Bellmont Cabinet Reviews and Comparisons 2019 - Humble Beginnings! Last Updated April 21st 2019: Bellmont Cabinet Co. is the family run business that has grown from humble beginnings into a well known cabinet maker in the U.S. The strong family work ethic that began the company still exists today as they strive for the best products and to give more to the customer. In this Bellmont cabinet reviews guide we will go through and talk about the history of Bellmont, the specifications of their cabinets along with sizes and quality checks, and some reviews on their products! Innovation, functionality and trend setting fashion is at the heart of what Bellmont does. For over 30 years they’ve been striving to make furniture that meets all three of these criteria and are constantly reevaluating and researching to find better solutions for customer problems. Bellmont produce one of the best frameless cabinets available. It’s designed to give maximum utility with more storage and easier usage. Bellmont frameless cabinet range just shows their mix of traditional construction and modern convenience. 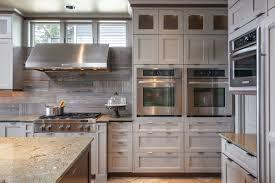 Other frameless cabinet frame manufacturers include Wolf Cabinets, Homecrest Cabinets, and Waypoint Cabinets. Based out of Sumner in Washington Bellmont are a truly American company and have grown on the back of their hard work in the industry. If you only want to buy American I can suggest Thomasville and American Woodmark cabinets as well!They believe in being a responsible business, both in respect to their customers and to the environment around them. They believe in sustainability and look to replace everything they use. The Bellmont 1600 series is the budget line from the furniture makers. With more basic features you can choose from urban, transitional or classic styles. 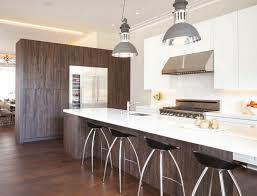 This allows you to match your cabinetry to existing furnishings so they don’t stick out. The 1600 series is designed to be more affordable but with no dip in quality, letting even lower budgets have access to Bellmont cabinetry. If you're looking for other budget cabinet brands that still give you a good value, I would suggest you look at Brookhaven and Fabuwood Cabinets. The Bellmont 1900 series is the premium line of home furnishings with detailing and extras that really complete their cabinets. Made with specific artistic choices they give an international feel, incorporating style elements from Italian influences. The 1900 series goes beyond cabinetry and attempts to create pieces of art, while keeping the functionality. Both of these lines are built to last with good construction quality. You can customise the features of cabinets in both lines and choose from a range of materials, colours and finishes. 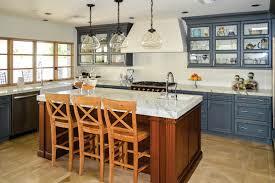 Cabinets that are similar in quality and craftsmanship to the 1900 series would be Hampton Bay Cabinets. Check out our Hampton Bay review here. Bellmont make their cabinets frameless to allow for the best use of space. This means more storage and easier access but can impact the sturdiness of the build if not done correctly. Both of the Bellmont cabinetry lines have been well thought out from design to manufacture. They incorporate features that make them durable and show that Bellmont know what they’re doing. The 1900 series has some better quality materials and construction so if your budget allows it may be worth spending a little more, the cabinet could end up lasting a lot longer. Bellmont have kept their cabinetry fairly customizable so the customer can make it their own. The 1900 and 1600 collections are made with different materials, the 1900 with more hardwoods and 1600 with furniture board. Hardwoods are better at taking coloring and finishes and are more durable. Each of these gives a different look to your cabinet and your kitchen, but best suits a more traditional home. There is a range of light and dark options for the different styles in the 1600 collection, your choice will de dictated by your own preferences and your home style, lighting. The 1900 collection has a much fuller variety of doors to choose from. As well as the standard choices there are more distinctive overlayers and shapes to choose from. You’ll have similar options between hardwoods, laminates and veneers but the real difference in choice in is the colouring. The 1900 collection has a wider range of more refined door colours. Unique blends and textures let you add sophistication to your cabinet and make it stand out for all the right reasons. Bellmont cabinets come with a range of different finishes. Staining, painting and glazing is available for both product lines and there are multiple methods used to bring out the natural colour of the wood. The finish you choose will dictate how your finished piece will look so be sure to take the time to explore the options. Light, dark and medium finishes are available, with hundreds of shades to compliment your material choice. Bellmont finishes are designed not just to benefit the look of your cabinet but improve the durability. 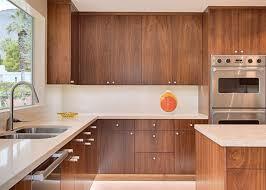 The finishes protect the wood from wear and tear while giving your cabinets a lot more character. Finally you can select from a range of utility options. Common options include extra drawers of shelving but you can opt for deep roll out trays or full height pull out drawers. It all depends on the space you have available but Bellmont are confident they can produce what you need. Bellmont furniture has a large variety of choice, but it’s the 1900 series that really stands out. The materials used and styling options available are really impressive and give you a lot of strong options to choose from. In fact with most of the 1900 series design choices it’s hard to go wrong, it’s just about matching it successfully to your kitchen. 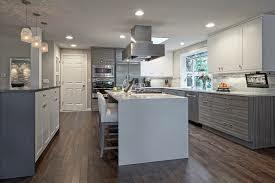 “We have been using Bellmont's 1600 and 1900 series for not only our kitchen projects but also custom built ins. We have nothing but great things to say” - Trista Y. “Our Bellmont 1600 cabinets are going in now. The quality definitely doesn't seem as good as we thought it would be” - David A. There are some quality control issues with Bellmont, especially with the 1600 collection that doesn’t use as many premium materials. This let’s more faults get through the nets and to the customer which is incredibly frustrating. The 1900 series sees a lot fewer complaints and people seem very pleased with the quality of products they receive. While Bellmont and the 1600 series have some negative feedback the majority of instances are positive. People seem to appreciate the affordable quality that Bellmont is providing through its cabinets. Bellmont stand behind their cabinets by offering a lifetime warranty. This covers all material and workmanship defects in the products for as long as you own them. Always bear in mind it’s worth talking to your local dealer to make sure exactly what is and isn’t covered by the warranty, that way you won’t be left in a bad situation down the line. Bellmont furniture seems to be straddling both sides of good quality and less good quality with their 1600 and 1900 series. The 1600 series has some issues with quality control and the units aren’t always standing the test of time, but they are very affordable. On the other hand the 1900 series is well made, durable and has some excellent style choices, but it’s noticeably more expensive than the budget line. If Bellmont produced a middle line between the two we feel it would do very well but as it stands they seem to have put a bit too much focus on the 1900 series while neglecting the 1600. That being said there is value to be had from both as they both have some cool and useful features for making the most of your home. However the most value is in the 1900 series which offers really fashionable furniture with great colouring and has good functionality. If your budget can stretch to it it’s a much better option, and in the furniture industry you do get what you pay for. 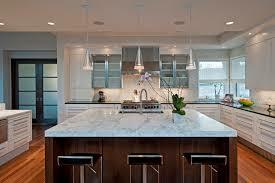 If you are interested in other cabinet reviews check out our kitchen product reviews page.